From the professional contractor to the first time DIY’er, everyone interested in home renovation has been using RTA cabinets to increase the value of their home or project. RTA cabinets are an easy way to not only add value to your home but also are easy to assemble and don’t cost an arm and a leg. 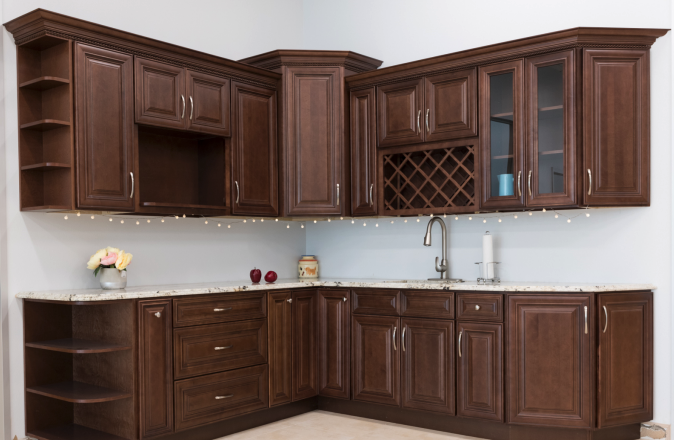 While preassembled cabinets are fine, RTA cabinets are a fraction of the cost and can help turn any old kitchen or bathroom into a new space. Why Are They Better Than Premade Cabinets? When you order your RTA cabinets from Arkansas Wood Doors you can count on a faster turnaround time, lower cost, and more customizable than premade cabinets. Premade cabinets not only cost an arm and a leg but also take longer to make. While custom ordered premade cabinets take at least a month to produce, RTA cabinets have a turn around time of a week or two. You want to be able to get an RTA cabinet that will last a lifetime, not fall apart like it came from an IKEA catalog. While other companies may cost a majority of your budget, here at Arkansas Wood Doors we can help work with you to get the custom cabinets of your dreams. Its reasons like this that Arkansas Wood Doors want to be your local custom cabinet supplier. Here at Arkansas Wood Doors, we have been making cabinets for nearly 40 years for clients all over the East Coast. We have been shipping our made in the USA RTA cabinets in areas like New York, Philadelphia, Baltimore, Boston, and Washington D.C. just to name a few. We are proud of the work that we do and the family that we’ve created in this business. So if you want to have a high quality, U.S.A made RTA cabinets, contact us today! We can give you a free quote for your next renovation project, just contact us today!